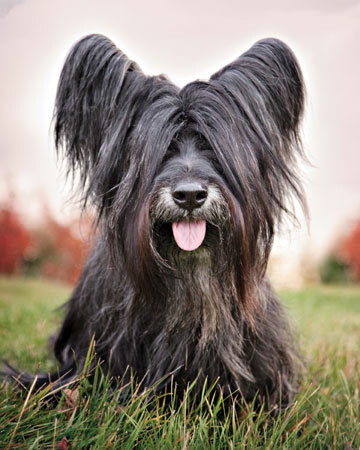 One of the oldest types of terriers, this cutie hails from Scotland's Isle of Skye. 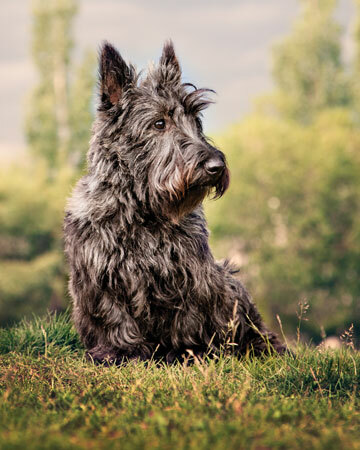 The medium‑sized Skye terrier weighs 35 to 45 pounds. He is known for his short legs, long body, bat‑wing ears, and long double coat that covers the body and face. 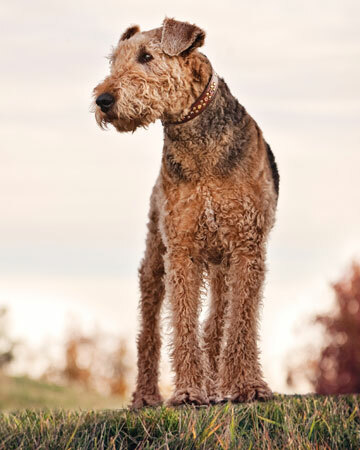 This agile, dignified breed was originally bred to hunt vermin. 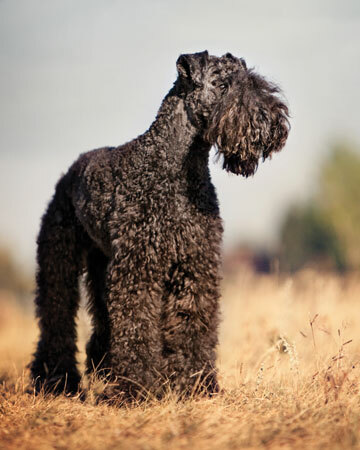 This versatile breed is small, sturdy, and keen. 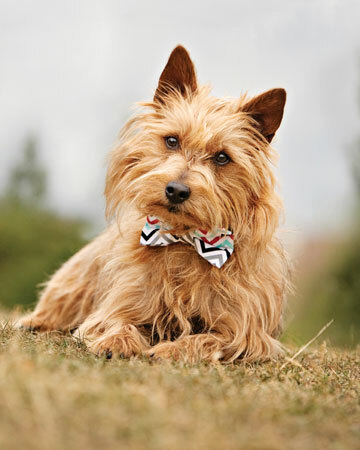 Confident, alert, and spirited, the Australian Terrier is courageous yet friendly and affectionate. His harsh‑textured coat sheds little. Developed to work the rugged Australian outback with his owner (and kill snakes! 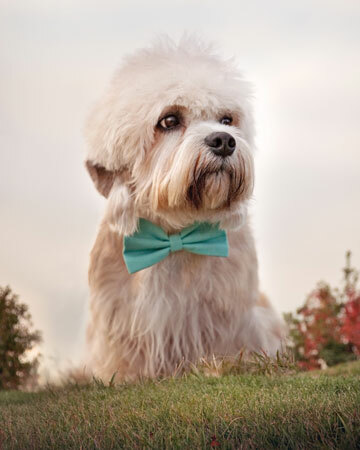 ), this is a dog that will do well in both urban and rural environments. Scottish Terrier or "Scottie Dog"
Wearing: Handcrafted leather, brass, and Swarovski crystals California Collar Co. collar for medium to large dogs, $88, californiacollarco.com.